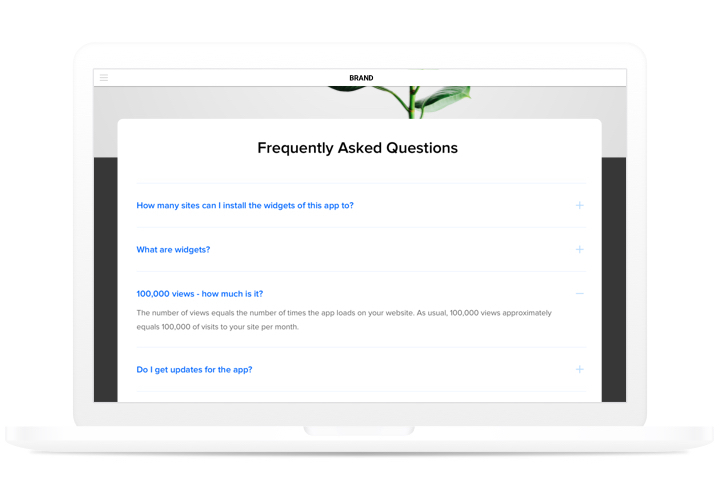 Elfsight FAQ is an efficient, easy to apply and customize widget to generate and display a list of the most needed questions with answers on your site. An interactive widget with intuitive design allows you to provide extensive information about your services, concentrate readers’ attention оn positive traits and combating misconception and disbelief, which can prevent a purchase. 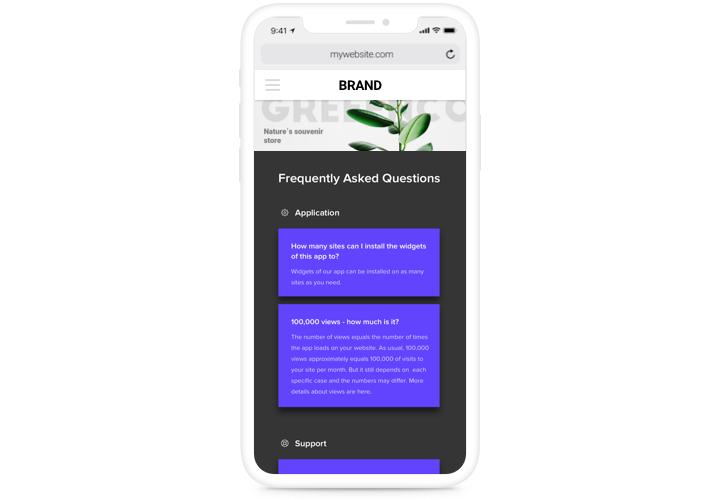 Let your customers find answers to their most important questions on your website maximum quickly and boost the number of orders on the site! Defeat indecisiveness of your customers and uplift your revenue. Provide extensive info about your goods or services to your probable shoppers, to help their indecisiveness, and raise revenue on the site. Achieve maximum understanding of your goods or services by customers. Eliminate the most frequent misconceptions and suspicions about your company with the help of complete and easy-to understand answers. Answers any customer questions immediately. Help your visitors get the most detailed information about your goods or services and solve queries before they arise. The key advantages of Elfsight widget, which make it the fastest method to add FAQ on Squarespace website. 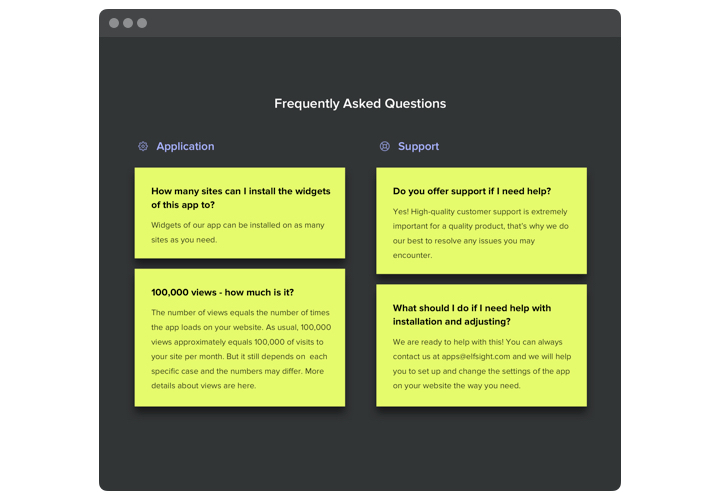 Create a widget with the help our brief guide. It doesn’t require experience in programming or professional help. Total setup time is 90 seconds. With our free configurator, shape a plugin with preferred design and settings. Acquire a code for installing the plugin. 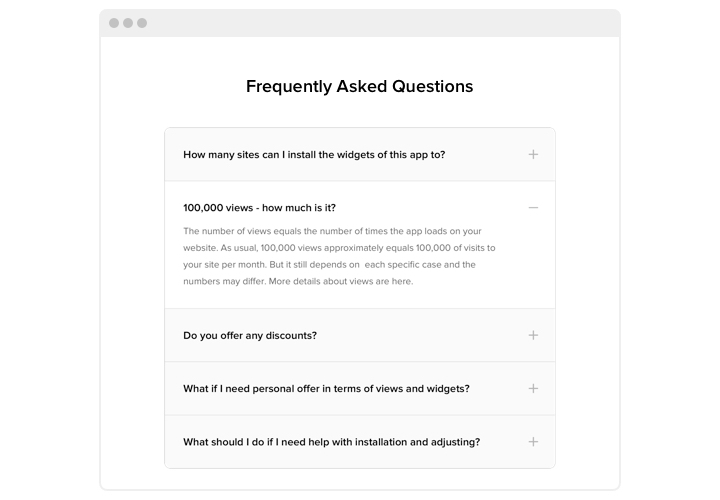 After widget customization, obtain a code for FAQ plugin from the appearing notification on Elfsight Apps. Show the plugin on SquareSpace website. Show the plugin on the necessary place of the page and save the edits. Visit your website, to check your plugin. Experience issues while applying the manual? 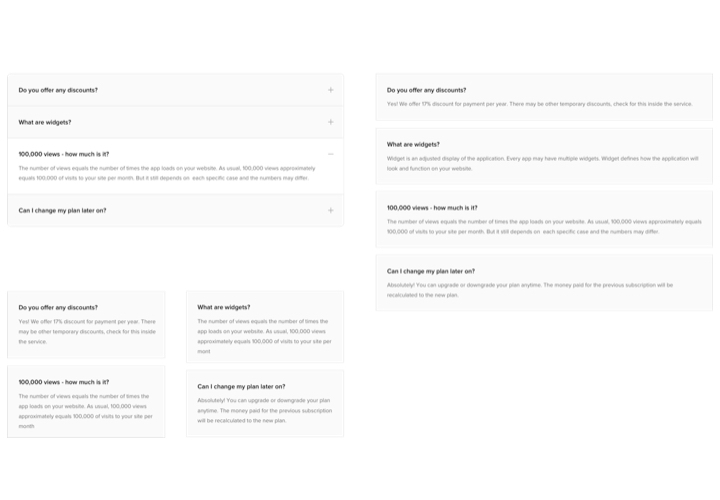 Leave a message to our support team or read a complete variant of the tutorial «How to add FAQ to Squarespace» and finish the setup yourself. 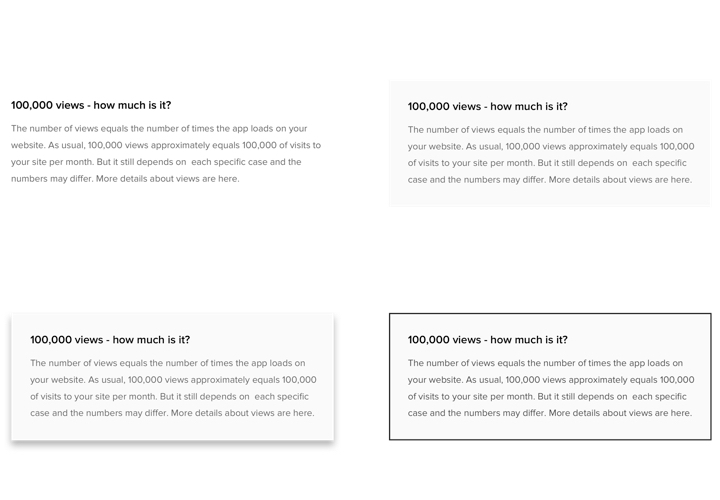 Construct Squarespace FAQ widget in only 80 seconds!